Name the top things you love to eat in the summer? I'll research it for you! One that ranks high on my list is LOBSTER ROLLS. Had my first this weekend in over six months, from the Red Hook Lobster Pound stall at the Mad Sq Eats food festival. I've raved about this festival in the past. Well the food fest is back on now till May 27, 2016. You've got a month to get there! Want some? This hit the spot. It dawned on me that the last time I had a Red Hook Lobster Pound roll was last summer when we were at the pound in the Hamptons, at their Montauk location. That was when we did a lobster roll tasting, and OD. It was awesome though! HA. Maine Lobster tossed with a touch of homemade mayo piled onto a buttery split-top bun and topped with paprika and scallions. Lobster + Bacon = Heaven. Chipotle mayo, Applewood smoked bacon, topped with paprika and scallions. 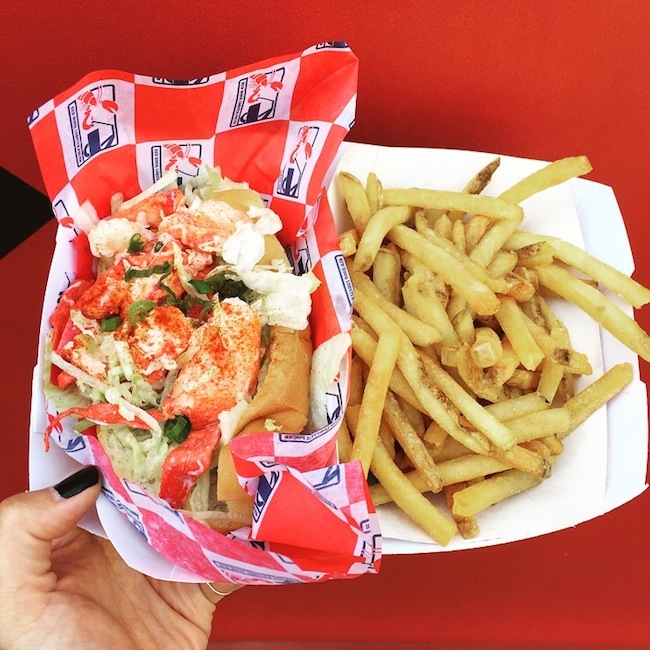 My ultimate faves are the Maine lobster roll, served cold which most of us know. But the Connecticut lobster roll thats warm is really yummy too with the melted butter. 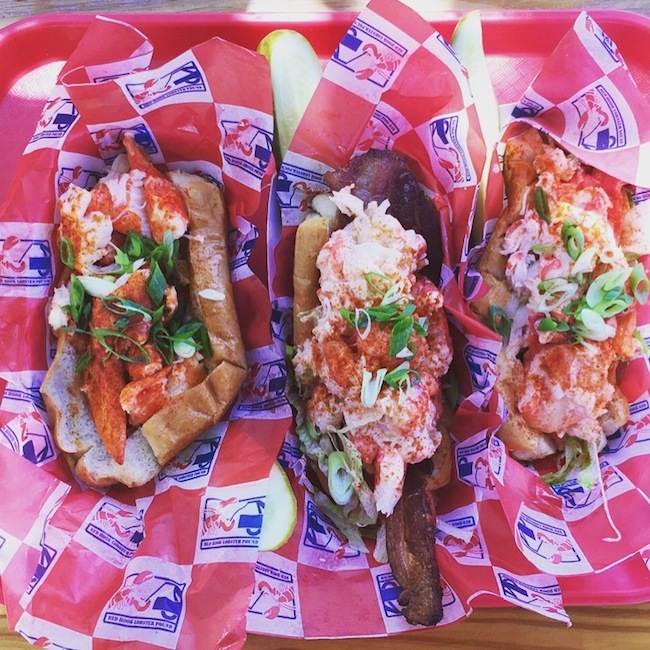 Red Hook Lobster Pound also has two other rolls I haven't tried which are the Tuscan Lobster Roll tossed in a basil vinaigrette, and a bikini style which is any style lobster roll served on a bed of salad, no bread. Now why would I want to do a skinny version? NO. Their rolls are so good thats half the pleasure! These guys are the lobster roll haven. They are one of the best in town. You got to try if you haven't yet! Plenty of locations in NY, or at the food markets. They're currently at Smorgasburg food festival too! Or you can catch their food truck. Go get your fix New York & Washington D.C.!